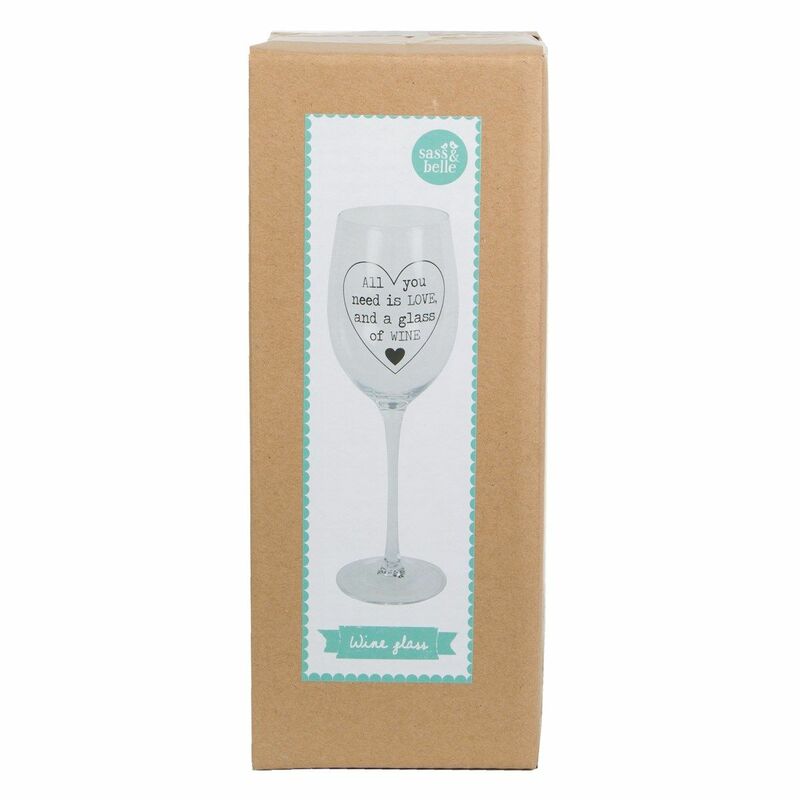 Reduced - Was £12.49 now 50% off only £6.25! 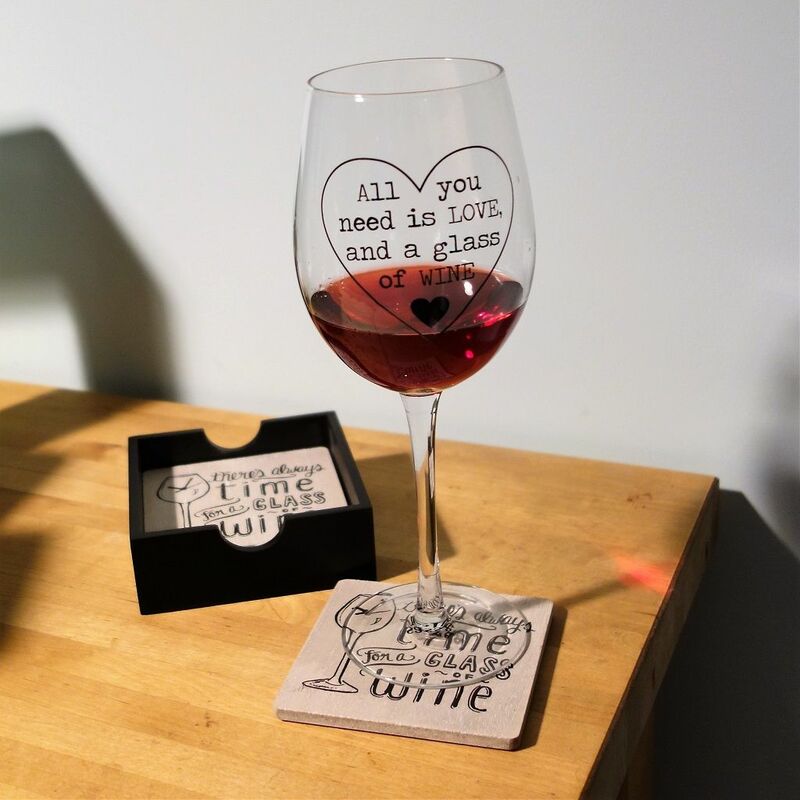 For a tipple with a bit of a giggle, this wine glass features the following saying; 'All you need is love and a glass of wine'. This design is in a strong black type against the clear glass. The saying sits in a heart shaped window and the design is featured on one side. 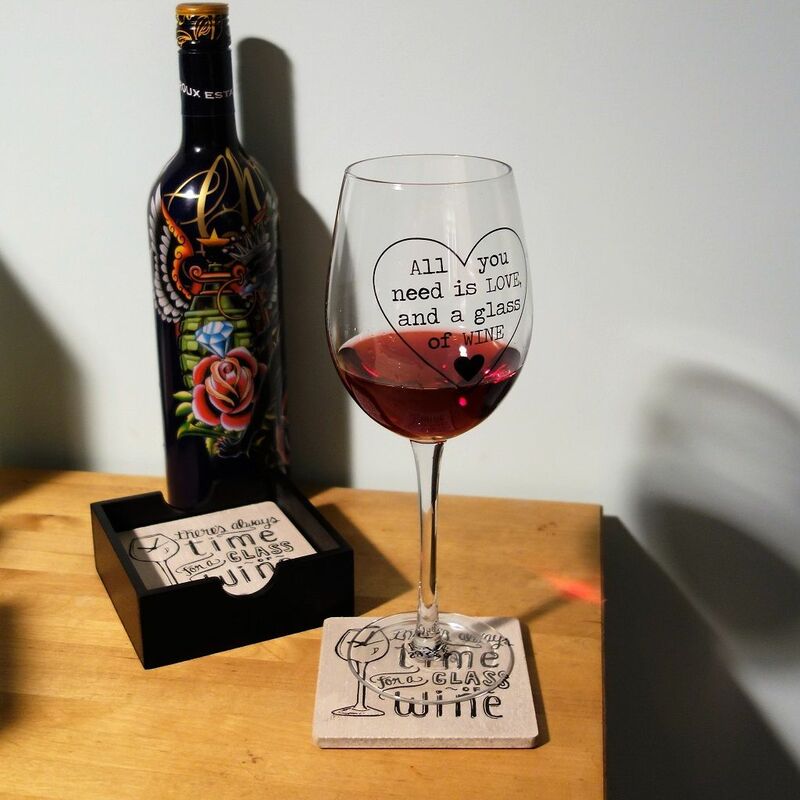 The glass is of a good thickness, making it ideal for celebrations, as well as the everyday. 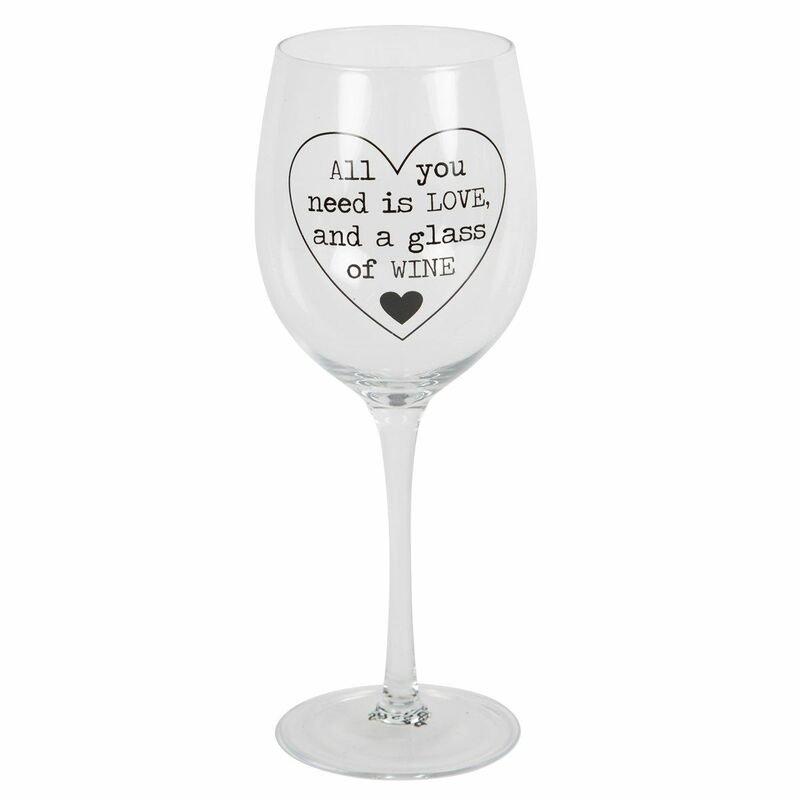 This glass is suitable for up to a 250ml measure.